Angels are light beings that were sent by god to earth to act as messengers between humanity and Himself. They surround us all the time, providing guidance and assistance when we need it. 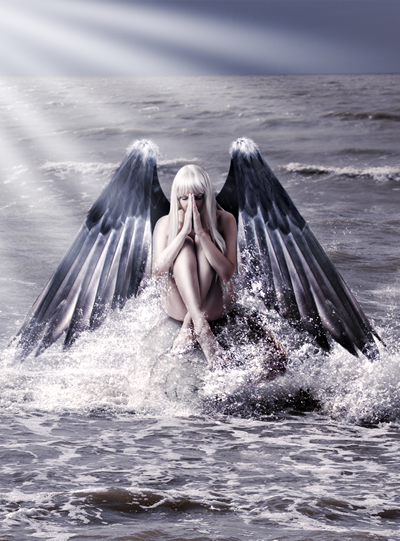 Near death experiences are the main reason and main occurences where angels have appeared to human beings. Raphael means 'The divine has healed'. He is the guardian of the west, twilight, evening, autumn and healing. His element is earth and his colour is red. He blesses growth, transformation and all forms of healing, from surgery to hebal medicine, and the laying of the hands. He brings comfort and protection to all who are physically, spiritually or emotionally ill.
As a child, our parents would tell us that we have an angel beside us. They say that angels guide and protect us in our daily lives. It is true. Angels’ purpose is to guide and protect. They are tasked to make sure that the person they were assigned to always makes the right decisions and not put himself in harm’s way. But aside from this, the light, the wings, and the halo, what do we really know about angels? First and foremost, angels are spirits. They are usually portrayed as someone that looks like a person but this is not their limitation. Angels can follow the shape of anything and anyone depending on the need. We always hear the term spirit guides who give out information and messages to those who need and ask it. Angels are spirits but they are not the same as these spirit guides. Angels are considered as the most righteous among all spirits. They can make themselves appear in dreams to send warning and messages. Their purpose are said to be the noblest. Angels only use their power to make everyone safe and righteous. Asking guidance from angels cannot result any harm. But anyone who wants to seek guidance from angels should not rely on them. Angels are very powerful and they act upon when deem necessary. Those who are truly in need do not even have to ask but talking to them would not hurt. Asking for an angel’s help comes with a great responsibility of doing the right thing. Know that angels will not do something just because it favors someone. They act for the common good. When an angels think someone deserves to be helped then the angel will do everything in his power to send the help to this person.